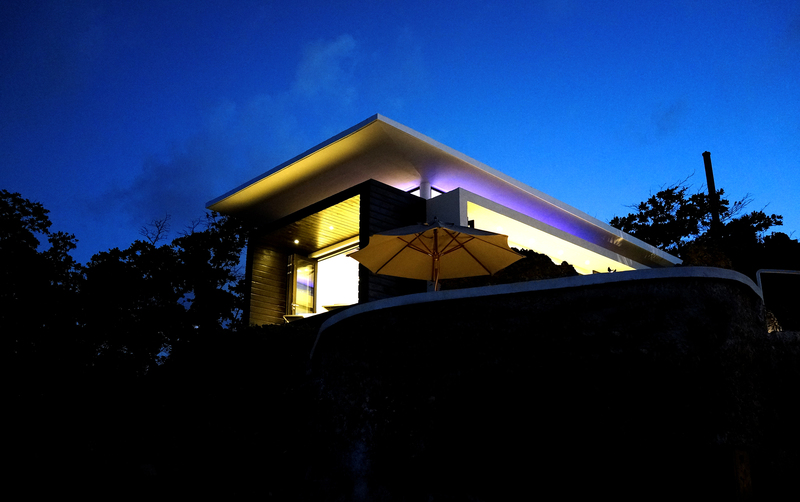 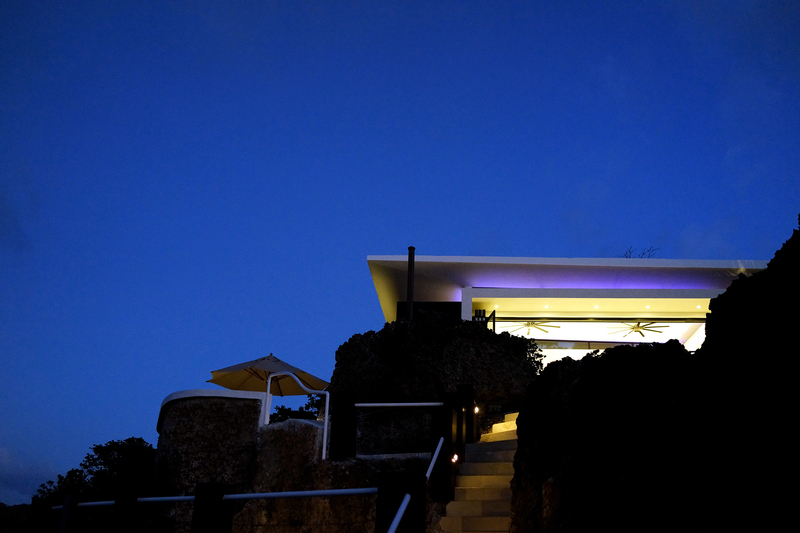 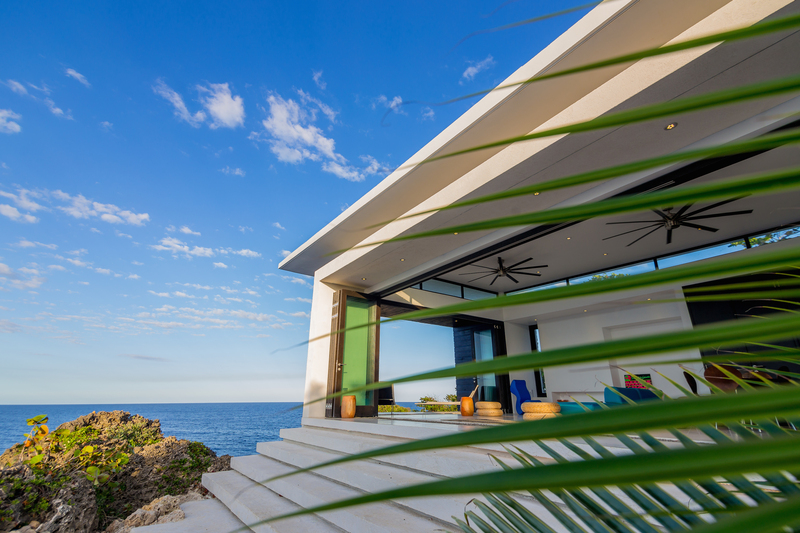 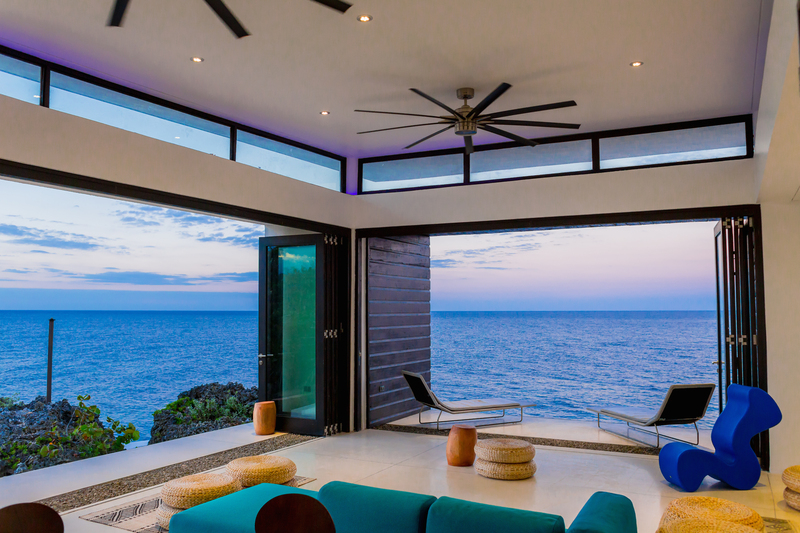 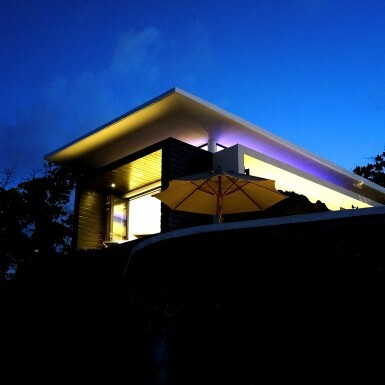 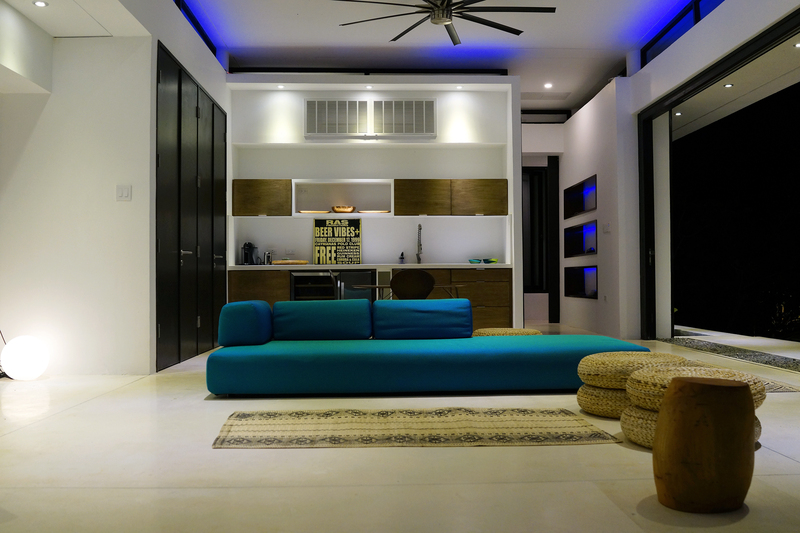 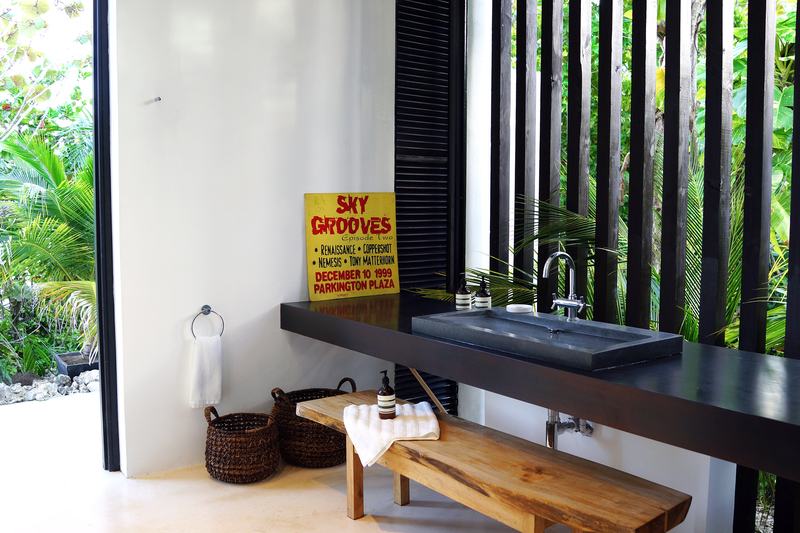 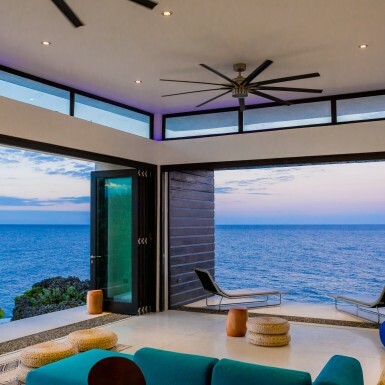 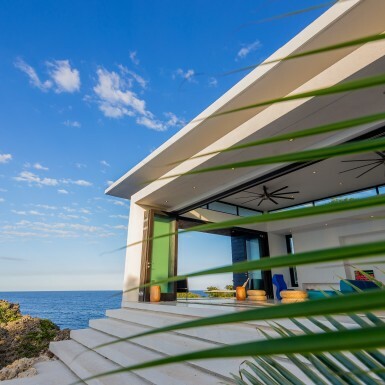 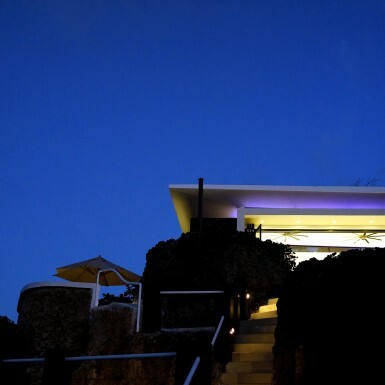 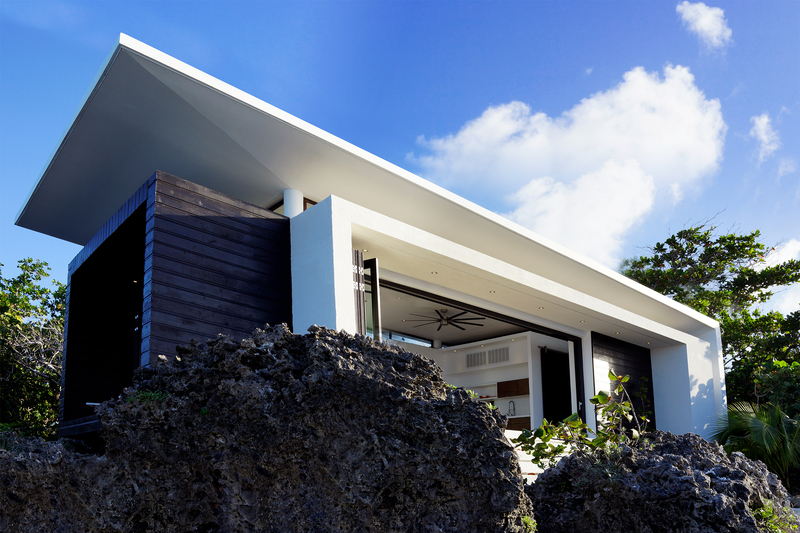 Designed as an exclusive retreat on a cliffside site, this space is a re-imagination of a contemporary Caribbean bungalow. 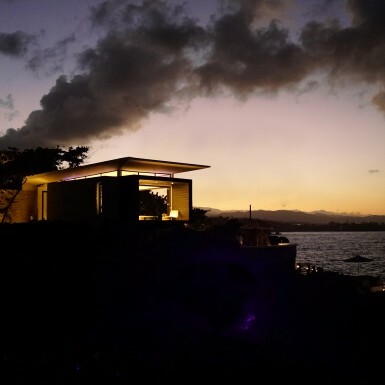 The design for the space evolved out of a close relationship with the Client, the Director of the Thyssen-Bornemisza Art Contemporary (TBA 21), who is also an avid Art Collector and Commissioner, Environmentalist, Intellectual and Philanthropist. 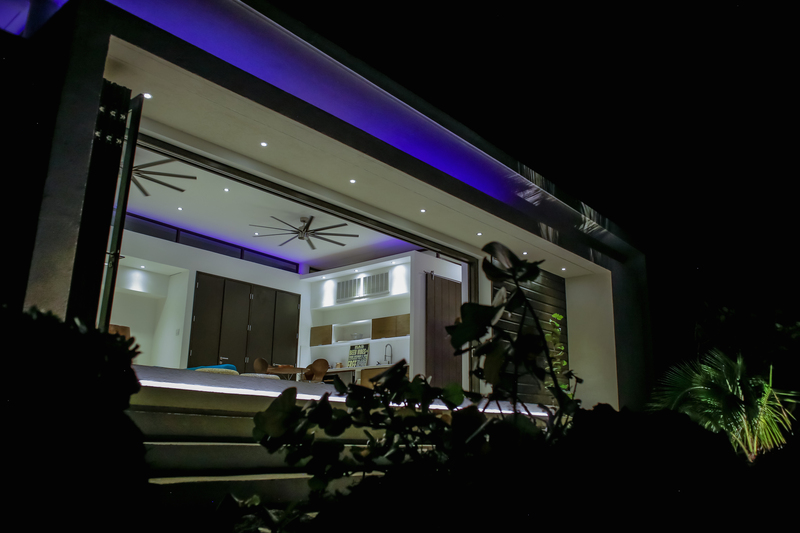 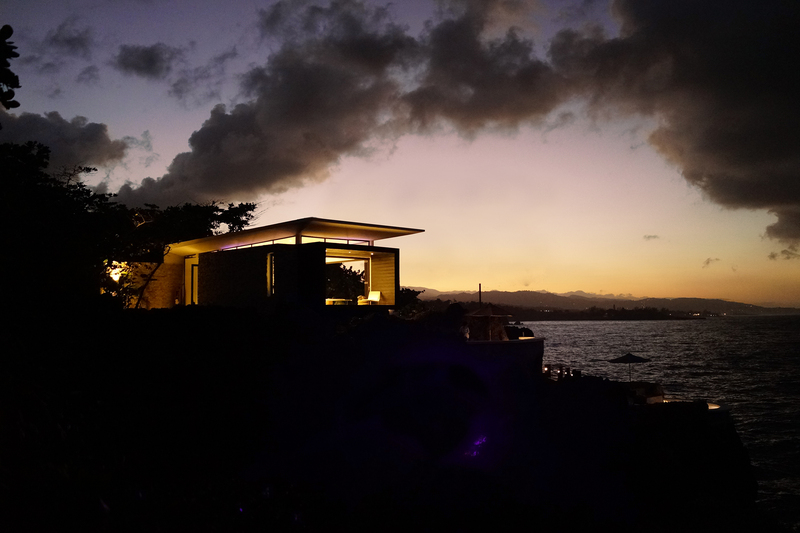 The project was commissioned after extensive discussions on the meaning, scale, positioning and materiality of a construct within this particular context. 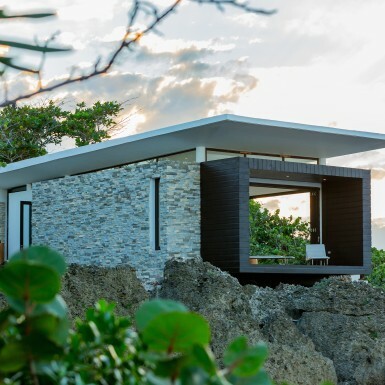 The building’s use is non-specific, its location on a rugged Cliffside site with limited accessibility through a dense forest, identifies it as a Retreat, an escape in architectural contrast with the other buildings on the property. 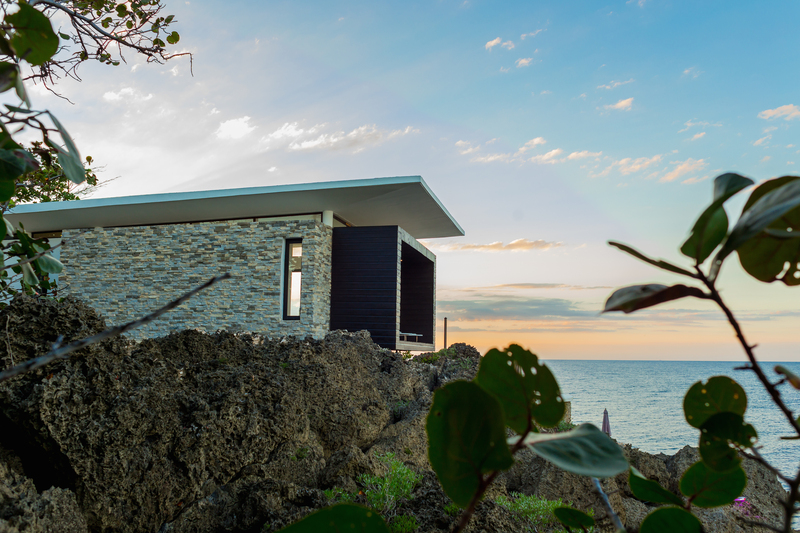 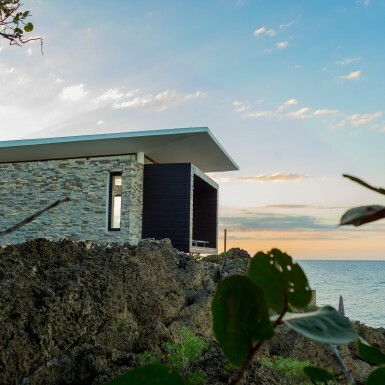 The Retreat is designed and positioned to allow the user to fully experience the natural landscape of rugged limestone rocks and uninterrupted horizons. 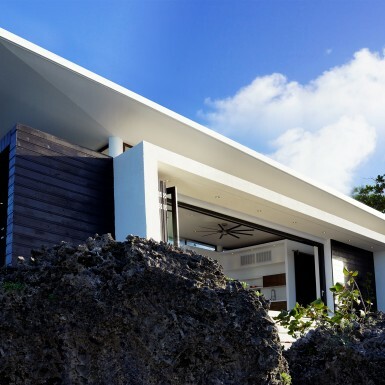 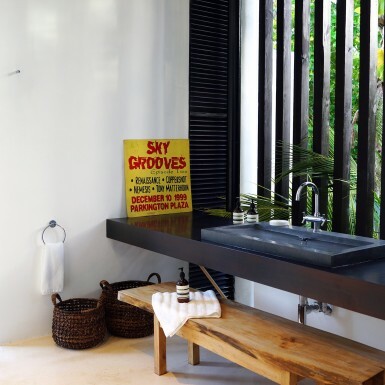 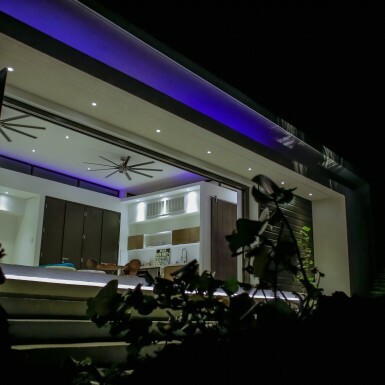 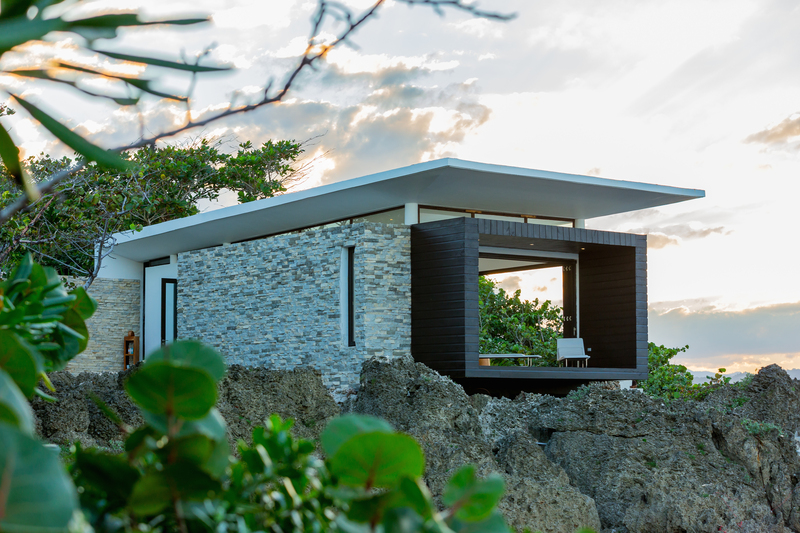 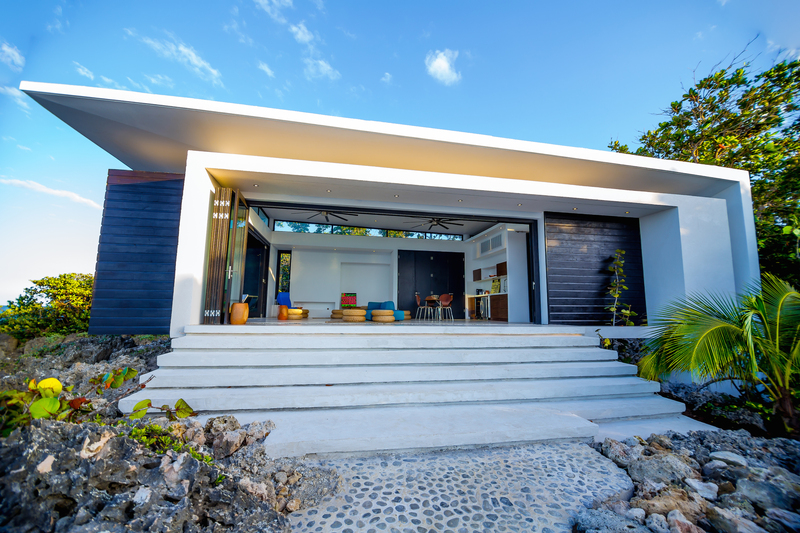 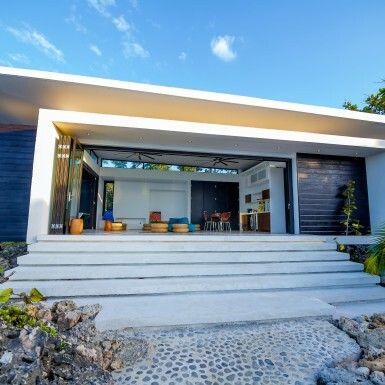 With a simple palette of poured concrete, stone, wood and glass, the building is intended to be a re-imagination of a contemporary Caribbean bungalow.